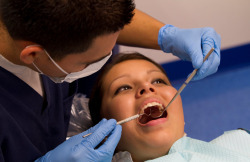 Are Lung Cancer & Periodontal Disease Linked? Can Oral Bacteria Give You a Brain Aneurysm? Does Poor Oral Health Worsen Asthma? Never before has there been a time where it’s more important for dental and medical professionals to work together. That’s why we created the OSH News Network. 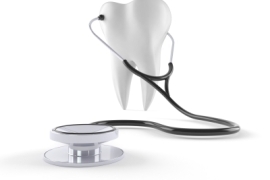 OSH stands for “Oral Systemic Health” – the connection between oral health and overall health – that is becoming an increasingly prominent focal point in this changing healthcare environment. 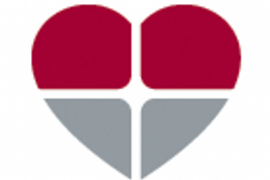 The OSH News Network is a site designed to educate medical and dental professionals about oral-systemic health. Truth be told, we are in a “perfect storm” in regards to healthcare—a diminished economy, an enormous demographic group (Baby Boomers) transitioning into retirement, and the competitive stress from the recent build up of providers. The entire U.S. healthcare industry is in flux. The following are just a few of the medical problems that have dental solutions. Anywhere we are able to reduce healthcare costs, there is enormous potential for growth and success. The research is mounting daily. Lack of oral health is a major risk factor to your body’s total health. The mouth is where life begins. So when, where, how, and why did the mouth become separated from the body? Medical research is finding oral bacteria associated and involved with our biggest killers such as heart attacks, strokes, cancers, diabetes, preterm births, rheumatoid arthritis, and Alzheimer’s disease, just to name a few. What’s reassuring is that we have ways to test for and prevent these potential killers. Are you surprised? Don’t be! Gum disease is more common than the common cold. The surgeon general tells us that over 80% of us have some form of gum disease. We hate to tell you this, but you probably have gum disease. In fact, the Guinness Book of World Records lists gum disease as the #1 most prevalent inflammatory disease in the world. Not only can gum disease kill you, 90% of it goes untreated. This has become a life and death issue! Gum disease is now considered a medical disease.